We will all likely face a life-altering moment when it is least expected. Michael O’Brien was cycling when his happened, and what followed became the cornerstone of his life’s mission today. Michael was nearly killed over 17 years ago, and what he has done since then to turn things around, and become the positive influence he is now is the basis for my episode today. That and a six pack of PBRs! CHECK IT OUT ON ITUNES, STICHER, YOUTUBE AND SPOTIFY! Resilience. Tenacity. Optimism in the face of being in a really bad place. Michael has been there, and emerged a much stronger man than he was pre-crash. This episode will resonate with you, as you will hear us talk about recovery, and how to change how we all look at life, and family, friends and work. OK, we didn’t actually drink a six pack of Pabst Blue Ribbons (insert product placement residual here). What Michael did instead was to teach us all how to take a break from our stressful and hectic lives, and do a PBR, (Pause, Breathe, Reflect) which you will learn how to do. We talk about leadership, empathy, business success, along with a gratuitous book promo! Make sure to hear about this and much more! Happy Listening! Be sure to connect with me on Social Media @MarkMoyerCoach and go to my website, www.markmoyer.com to get access to the tips and strategies that my coaching clients get directly. 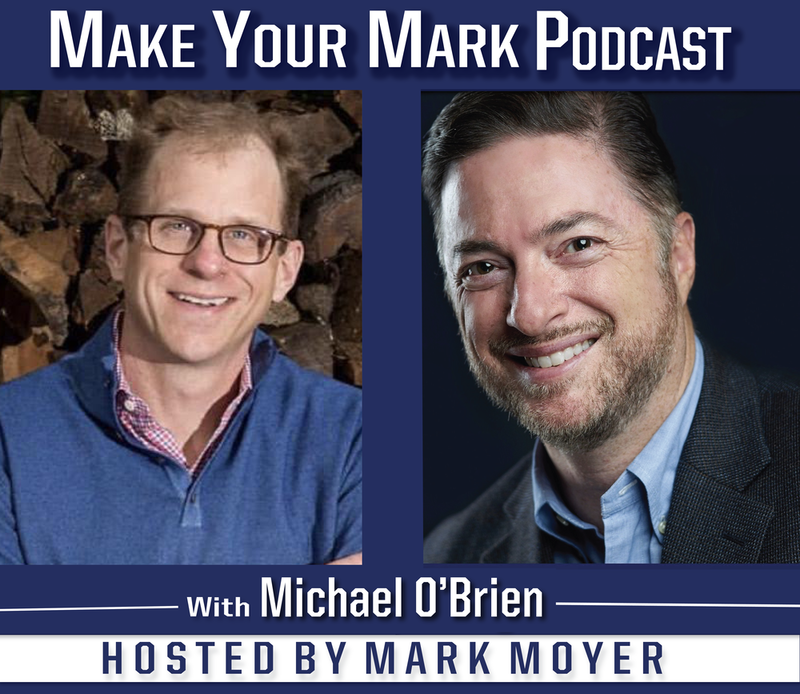 If you’re looking for ways to Make Your Mark, send me an email Mark@MarkMoyer.com and I’ll get you going right away. If you liked this episode, be sure to subscribe and leave me a quick review on iTunes. Your reviews and ratings will help me reach more people with ways to make their mark in life!